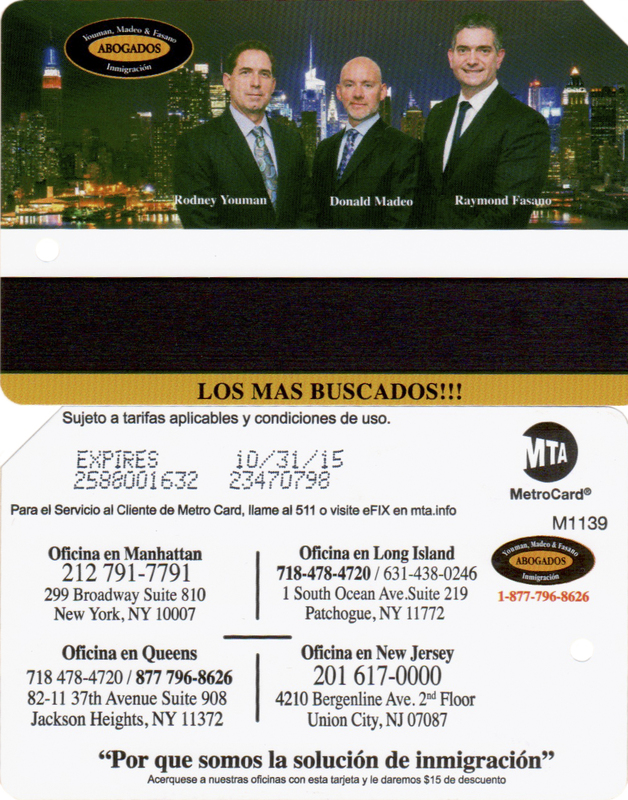 Two new metrocards feturing advertisements from Youman, Madeo & Fasano, LLP with offices in New York and New Jersey. Both cards are double side advertisements. 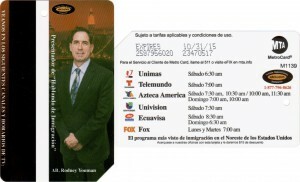 Both cards are only in Spanish. 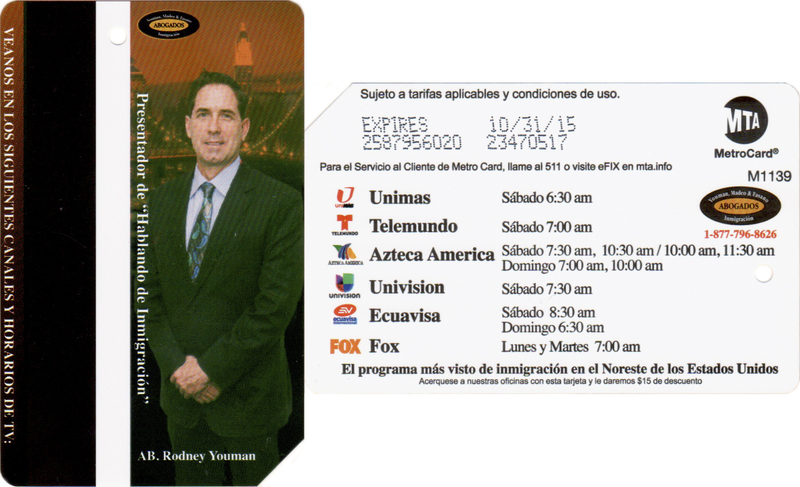 The first card features radio talk shows on different station about immigration. 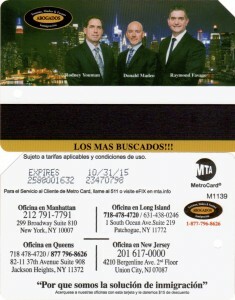 Second card on the back listed addresses of law firm offices.